We are one month into the new year and I am pleased to say that January has been a good month for comic book fans. With 2015 off to a great start, I hope that the remainder of the year delivers the goods. I hope that the Star Wars franchise is a hit for Marvel, but doesn't get watered down with numerous spin-offs. I hope that Marvel or DC actually have an event that impacts the universe in a meaningful way. I hope that Wolverine remains dead. Finally, I hope that Joe Hill and Gabriel Rodriguez will return us all to the Locke and Key universe. That is all. 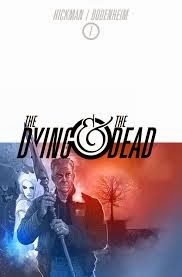 The Dying and the Dead #1 - I have been looking forward to this title for quite some time and it did not disappoint. With any Jonathan Hickman tale, you know you are going to be a few issues in before you really know what his plan is and where the book is taking you. This is no different, but the beginning of the story is extremely intriguing and I can't wait to be wrong about all of the assumptions I am making. There are three parties that have a stake in the story thus far. A group of occultists who have summoned Bah Al' Suharur, an old colonel who is at the end of his rope and would do anything to save his dying wife, and a society of immortals who live underneath the Earth. All three parties are interesting on their own, but how their paths intersect in this first issue warrant your time and money. It will cost you $4.50 for this oversized issue and is worth every penny. 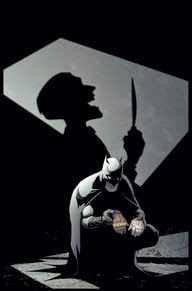 Batman #38 - Part 4 of Endgame is here and it is a doozy. I feel that this issue was a return to form for Scott Snyder. Not that I didn't enjoy the previous arcs, but felt it needed a recharge after Zero Year. Endgame started on that trajectory and this issue felt like I was reading classic Batman and classic Snyder. The crew is not any closer to finding a cure for the new Joker virus and Gotham is getting ripped apart at the seams by its own citizens. Pretty standard Batman fare, but not a bad thing. That is until Snyder dropped a rumored Joker backstory bomb that leads to Batman making a difficult decision. He is at his wits end and needs to learn about the history of Gotham. I won't spoil who or what he turns to for help, but I was shocked and cannot wait until the next issue. Munchkin #1 - It seems like no matter where you turn your head you will bump into something Munchkin. At our house we have multiple Munchkin games, a stack of Munchkin bookmarks, a pint glass from the Munchkin Tavern, and I backed a Munchkin themed Lego type brick. Needless to say, I am a fan. This week we have been graced with a Looney Tunes style comic that featured three stories from some pretty impressive creators. 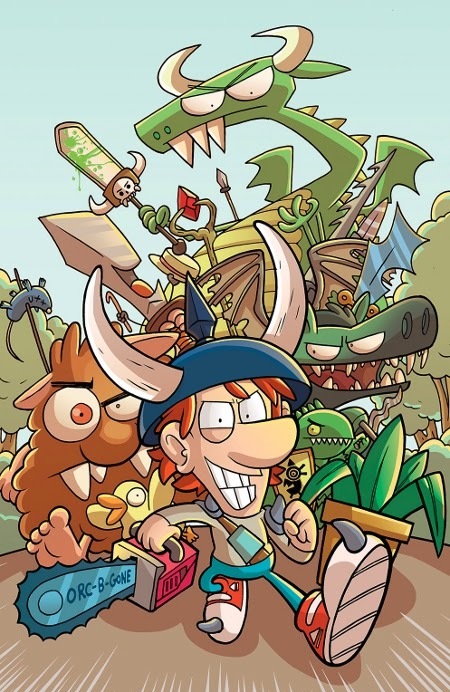 The only catch is that if you aren't a fan of Munchkin I don't think that you would find this title worth your time. If you are a fan, you will enjoy the simple comic that captures the spirit of the game and includes some familiar faces and foes. Throw in the fact that each comic includes an exclusive card (pretty cool!) and I will be picking up issue #2. Skylanders #5 - I continue to enjoy this series, but my son brought up a great point. The first story in this issue was already featured in one of the comics that was packaged with a legendary trap. It happened when the series launched (the first comic was available through a series of Gamestop mini-comics), but at this point I want to see where the main storyline is going. While it is nice to see this material available to people who don't have the trap, I feel a bit shortchanged when I only got three new pages of material for $3.99. What is frustrating was the new material was good and actually moved the plot forward.